They originate with native North Americans. The first peoples to come to the Americas also came in search of a better life. That happened 14,000 years ago in the last Ice Age when nomadic pioneers, ancestors to modern Native Americans and First Nations, arrived from the Asian continent and roamed freely throughout what now comprises Canada, the United States and Mexico. Chasing mammoth, ancient bison and the elephant-like Gomphothere, they moved constantly to secure the health of their communities. This globalist world view was alive and well 700 years ago as well when people from what is now northern Arizona fled a decades-long drought and rising authoritarianism under religious leaders. Many migrated hundreds of miles south to southern Arizona, joining the Hohokam – ancestors to modern O’odham nations – who had long thrived in the harsh Sonoran desert by irrigating vast fields of agave, corn, squash, beans and cotton. As ever more communities adopted this equitable tradition, political power – which at the time was embedded in religious power – became more equally spread through society. Elites lost their control and, eventually, abandoned their temples. The Hohokam tale unearths another vaunted American ideal that originates in indigenous history: equality. Long before it was codified in the Declaration of Independence,, equality was enacted through the building of large mounds. 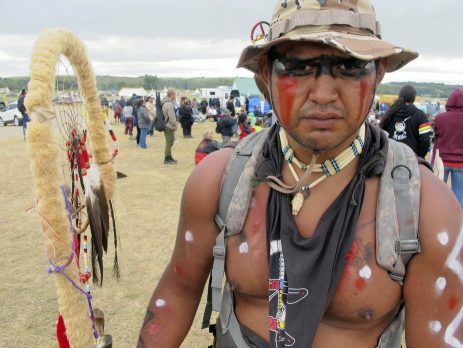 The long indigenous history of rejecting authoritarianism continues, including the 2016 battle for environmental justice at Standing Rock, South Dakota. The movement centered on an environmental cause in part because nature is sacred to the Lakota – and to many other indigenous communities – but also because communities of color often bear the brunt of economic and urban development decisions. Standing Rock was the indigenous fight against repression and for the American Dream, gone 21st century. America’s indigenous past was not romantic. There were petty disputes, bloody intergroup conflicts and slavery, namely along the Northwest Coast and American Southeast. So the next time a politician invokes American values to promote a policy of closed borders or selfish individualism, remember who originally espoused the American Dream – and first sought to live it, too. I completely dislike the fact that this movement is becoming political. We know about the globalism and the “Lords of the World” (International Bankers) and their intentions but when we start placing name of past and current presidents (which we know are all controlled by the cabal) we start to divide this movement. I am disappointed. Please refrain from naming names and pointing fingers. Just state the facts and bring knowledge. Thank you. Victory of the Light.